Information was pulled from multiple references and in-game testing. If anything is wrong, please PM it to me and I will gladly look into it. For detailed information on certain new features, refer to the navigation below. * The second part of the Primal World has been unlocked with frozen Luneska and aquatic Riptide areas to discover! Completing their quests will award you with Flowsilver Coins and Star Chart related elements. * New starting zone: Celestial Vale! Newly created characters will now have opportunity to do low level quests and progress the game slowly (like on retail server) or use the Level Scroll from their bag to level instantly to 110. * Heavenfall Temple is now open! This single-player dungeon is located in the skies above the Heavenly Music Pavilion in Lothranis. Challenge the 108 floors of the temple for power as well as prestige - guide and video 1 | video 2. * Flowsilver Palace Judgment Mode! If you're looking for a challenge and new rewards, try this new mode, which will also feature a new boss after defeating Tyrant Prince. 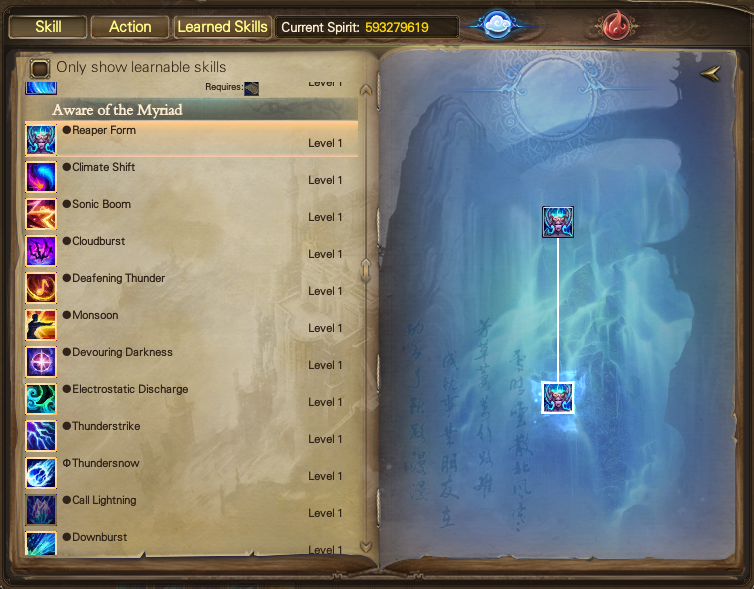 * The Skills interface has been updated. Instead of travelling to skill trainer NPCs to learn new skills, you can learn them directly from the Skills window (by pressing R hotkey). * Faction Mail has been added. Faction members with a rank of Marshal or higher can send mail to all members of their Faction. Money and items cannot be attached to Faction Mail. * When facing a Faction that controls more territories than your own in Territory Wars, you will now gain a buff that increases your Defense Level proportional to the difference in territories. If the difference is particularly high, it will increase Attack Level as well. * Size of Safe and Cupboard has been increased to 96 slots; size of Pet Bag increased to 20. Just use Extension Stone from God's Giving to unlock it. * Supreme Celestial Schism introduced - when switching to opposite cultivation, all the skills will also convert to their corresponding levels. * Nation Wars has now additional ranking options. * Added an option to display dead and high-scoring players in chat. * Faction Rename Stone is now available in the Points Shop. * A new Mission Location Display button has been added to the world map. Clicking it will show the locations of all currently tracked quests. * Added Active Points system which will allow to automatically complete daily quests. Active Points can be earned by completing various daily quests. * Added Nightshade Morai skills to Universe Chests, in addition the Chest will now have 100% chance to grant a skill book for a random class. * New dungeon: Quicksand Maze. * The Dragons' Conquest faction PvP event. "Created by the son of Pan Gu, the Reapers once guarded the Celestial Vale. Bound to the life of the Divine Child, they defended him until he was mortally wounded in battle. With the last of his strength, the Divine Child freed the Reapers from his service and sent them to Perfect World. Now known as the Nightshades, they draw upon the power of the moon to battle evil in all its forms." Nightshade is the brand new race coming to EPW! With them comes new mechanics, features, and of course two new classes: Duskblade and Stormbringer. If you're having trouble, you can get started here, all Nightshade Skills are listed below. You can quickly compare Sage and Demon differences to see which you would like best. Don't be afraid to try them both out, you can always change your mind later! "Swift and Dangerous combatants, they turn melee combat into a deadly dance with their Sabers." Duskblades take advantage of a new skill combination feature, some skills are only available if used after certain skills. Make sure you try them all out to see which ones you like best! If you see a Duskblade, watch out for their teleports or you might end up paralyzed! Note: Demon Spark for Duskblades gives crit, not attack rate. dealing base physical damage plus 2312. Sage version has a 20% chance to generate 30 Chi. Demon version reduces the channel and cast times by 0.1 seconds. of your next Motionless Move within 6 seconds by 35% | 45%. While transformed, the cooldown is reduced to 1 second. Sage version deals an additional 50% of weapon damage. Demon version increases the damage of your next Motionless Move by 45%. to the attacker's distance. Also enhances certain skills. Sage version lasts 32 seconds. Demon version reduces the cooldown by 5 seconds. of your next Motionless Move within 6 seconds by 50%. it deals an additional 15% of base physical damage plus 617.9. Sage version deals an additional 60% of weapon damage. Demon version restores 10% of your maximum Health. within 20 seconds, the cooldown will be instantly reset. Sage version increases the range to 30 meters. Demon version increases the stun duration by 1 second. A legendary skill passed down from your forebears. and freezes the targets for 2 seconds. Transforming reduces the cooldown to 1 seconds. Demon version generates 30 Chi. and drains 5 Chi from the target. While transformed, the cooldown is reduced to 1 seconds. Sage version generates 30 chi. Demon version drains 15 Chi. Bathe the target in divine moonlight, putting it to sleep for 5 | 6 seconds. Also burns the target with radiance for 5 seconds, dealing 10389 | 8589 Earth damage. Sage version deals an additional 1800 Earth damage. Demon version increases the sleep duration by 1 second. Instantly step through the shadows to your target, paralyzing them for 2 seconds. Demon version reduces the cooldown by 2 seconds. target. Deals base physical damage plus 7736 | 5526. Sage version deals an additional 2210 damage. Demon version increases the area's width to 8 meters. deals damage to anyone, the mark is removed. Sage version reduces the mark duration by 1 second. Increases all saber weapon damage by 90% | 75%. Sage version increases weapon damage by 90%. Demon version also increases Critical Rate by 2%. and removes the cooldown from your next Blinking Moment within 5 seconds. Sage version causes your basic attacks to deal an additional 1082 Fire damage for 15 seconds. Demon version increases the immunity duration by 2 seconds. the points of the constellations as your guide. the target's Physical Defense from gear by 40% | 60% for 15 | 7 seconds. Sage version reduces Physical Defense for 15 seconds. Demon version reduces Physical Defense by 60%. take damage while casting this skill. Sage version does not cost Chi. Demon version paralyzes the target for 4 seconds. and increasing their skill damage against non-player targets by 15%. Lasts 10 minutes. The effect ends if you change instances. Sage version has a 25% chance to generate an extra Spark. Demon version also increases your Attack Level by 15 for 15 seconds. the targets for 1 second and disarms them for up to 9 seconds. Charge can be cancelled at any point by pressing the button again, does less damage and effect. Sage version deals an additional 35% damage when fully charged. Demon version instead has a channeling time of 2.1 seconds. the damage of your next auto attack within 6 seconds. Sage Version causes the fourth hit to increase the damage the target takes by 30% for 5 seconds. from your next Relentless Drift within 6 seconds. Sage version reduces the cast time by 0.3 seconds. Demon version has a 40% higher Critical Rate. plus 6906 and paralyzes the target for 2 seconds. You do not take damage while casting this skill. Demon version reduces the cooldown by 3 seconds. Level by 31 and significantly increasing your Speed. Sage version lasts for 5 seconds. Demon version causes your next Motionless Move within 6 seconds to freeze the target for 5 seconds. physical damage plus 400% of weapon damage plus 9612. The first attack immobilizes the targets for 1 second. The second attack slows the targets for 1 second. The fourth attack paralyzes the targets for 4 seconds. Sage version reduces the cooldown to 60 seconds. Demon version renders you invincible while casting. for 2 seconds. Otherwise, immobilizes the enemy for 2 seconds. Sage version increases your chance to evade damage by 30% for 5 seconds. Demon version increases your Evasion by 30% for 5 seconds. of weapon damage plus 8992. Paralyzes the target. Sage version has a 50% chance to recover a Spark after casting. Demon version increases the range to 25 meters. away your attacker is, up to a maximum of 67.1% | 64.7%. learned to emulate the bone-chilling howling of the nocturnal creatures. meters by 100% and reducing the damage you take by 20% for 10 seconds. were born in it. The shadows belong to them, and will betray the wicked. or be targeted by anyone, but you cannot use skills or make attacks. If you use anything that makes you immune to seal or in general, you can auto-attack during Umbral. devised techniques for causing solar eclipses at unexpected moments. cooldowns of their next two skills within 30 seconds by 1 minute. 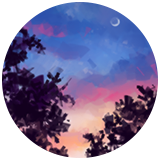 Invoke the moon's reflection to copy one of your target's skills. Different classes will grant different skills. Increases your swimming speed by 100%. Only works in the Primal World. Health and generate 30 Chi. Lasts 20 seconds. damage nearby targets take by 20% for 4 seconds. within 5 meters, dealing 11087 physical damage. within 6 seconds by 50% | 65%, and guarantees it will be a Critical Hit. Sage version deals an additional 120% of weapon damage. Demon version increases the damage of the next Motionless Move by 65%. player, Physical Defense will instead be reduced by 60% | 90%. Demon version reduces Physical Defense by 60% and reduces players' Physical Defense by 90%. not take damage while casting this skill. Costs 0 | 30 Chi. of weapon damage plus 13880. Paralyzes the target. "Wielders of ice and thunder magic, they use their scythes to channel raging storms against their foes." thunder and ice orbs to buff up your skills or give them new effects! If you see a Stormbringer, don't run away, you'll only end up hurting yourself! 3254 | 4454 as Metal damage. Generates a Thunder Charge. While transformed, damage is increased by 33%. Sage version has a 20% chance to generate 20 chi. Demon version deals an additional 1200 damage. time by 25% | 20% for 5 | 6 seconds. Generates an Ice Charge. Demon version reduces your channeling time for 6 seconds. and your physical defense by 300%. Also enhances certain skills. magic attack plus 170% of weapon damage plus 5887 as Metal damage. the number of Thunder Charges, for 10 seconds. Generates a Thunder Charge. Elemental Resistances are reduced by 30% to 40% | 45%. Sage version reduces the channeling time to 1.3 seconds. Demon version reduces Resistances by up to 45%. of weapon damage plus 5555 as Water damage and. the number of Ice Charges. Generates an Ice Charge. Sage version reduces channeling time to 1.3 seconds. Demon version stuns the target for a minimum of 4 seconds. damage plus 170% of weapon damage plus 5184 as Metal damage. channeling speed by 20%. Generates a Thunder Charge. Sage version also deals 15% of base magic damage plus 5184 as metal over 9 seconds. Demon version increases the range to 15 meters. plus 4860 as Water damage and knocking them back 9 meters. Thunder Charge, the knockback is increased by 2 meters. Sage version reduces the channeling time to 1.2 seconds. 50% | 65% and becoming immune to immobilization effects for 12 | 10 seconds. Sage version increases the duration to 12 seconds. Demon version increases your speed by 65%. your Ice and Thunder Charges with each other. Demon version has a 30% chance to generate a Spark. plus 10800 | 5400 as Metal damage. Generates a Thunder Charge. Sage version deals an additional 10% of weapon damage plus 5400 Metal damage. Demon version has a 30% chance to reduce incoming damage by 30% for 5 seconds. frozen are instead slowed by 50%. Generates an Ice Charge. Sage version reduces the cooldown by 1 second. Demon version increases the area by 50%. damage plus 7239 as Metal and Water damage. Transforming reduces the cooldown to 6 seconds. Sage version gives the first attack a 25% chance to increase the damage taken by the target by 25% for 5 seconds. Demon version gives the fourth attack a 25% chance to restore health equal to 10% of your base magic attack plus 724. Increases all Water damage by 25% | 20%. Sage version increases Water damage by 25%. Demon version also increases your Critical Rate by 1%. Increases all Metal damage by 25% | 20%. Sage version increases Metal damage by 25%. seconds; lasts 9 seconds. Generates a Thunder Charge. plus 10390 | 7190 as Metal damage. Generates a Thunder Charge. Sage version increases Internal Bleeding damage by 3200. Demon version increases the Internal Bleeding duration to 30 seconds. to freeze targets for 3 seconds. Generates an Ice Charge. Sage version reduces speed by 70%. Demon version increases the freeze chance to 70%. take by 22% for 10 minutes. Generates an Ice Charge. The effect ends if you travel to another map. Sage version has a 25% chance for generate a Spark. Demon version also increases your Defense Level by 15 for 15 seconds. damage plus 624 as Metal damage. Lasts 12 | 13 seconds. Jumping counts as moving, just as flying does. Can do damage through immunities if the debuff is applied before immunity is used. Damages stealthed targets, ignores defense levels, can damage after a duel is finished if the debuff is still applied. Sage version reduces the cooldown by 3 seconds. Demon version lasts 13 seconds. 6910 as Metal damage. Deals an additional 55% | 20% damage if you have 3 Ice Charges. Sage version deals an additional 55% damage if you have 3 Ice Charges. Demon version deals an additional 6910 Metal damage over 12 seconds. and Metal damage. Stacks up to 5 times. and the cooldown reduced to 1 second. Sage version increases the lightning burn duration by 3 seconds. Demon version increases the total damage by 25%. instantly dealing Metal damage based on the number of stacks. Stack detonation damage ignores defense levels. Sage version deals an additional 4800 damage. Demon version reduces channeling time by 0.2 seconds. have 3 Thunder Charges. Generates an Ice Charge. Sage version deals an additional 35% damage with 3 Thunder Charges. Demon version has a 30% chance to stun the target for 3 seconds. dealing 150% of weapon damage plus 1752 | 2552 as Metal damage. Demon version deals an additional 800 damage. every 2.4 | 3 seconds. Last 12 seconds. Generates an Ice Charge. Sage version pulls enemies every 2.4 seconds. Demon version increases the area to 15 Meters. to negative status effects, but you cannot receive any other healing. Fully restores your Health and makes you invincible for 2 | 4 seconds. Sage version increases damage reduction to 80%. Demon version makes you invincible for 4 seconds. target's movement speed by 80% and flying speed by 20%. Sage version restores 5 Chi per strike. Demon version restores 3% of your maximum Health per strike. 230% wpn dmg + 5694 Metal dmg. 3 Thunder: Base magic dmg + 230% wpn + 5694 as physical. It does one hit of combined magic and physical damage. 2 Thunder/1 Ice: +30% skill damage for 20 sec. -40% damage taken for 6 sec. Sage version has no Spark cost for the extra Supercell. Demon's extra has a 1 sec channel, costs 1 Spark. and incoming skill damage by 26% | 25%. Sage version reduces incoming attack damage by 68% and incoming skill damage by 26%. Demon version also increases your skills' Critical Rate by 1%. within 15 meters by 500%. Lasts for 15 seconds. Conjure a thick, heavy cloud that clings to the target for 1 minute. Blocks the first attempt to remove the target's positive buffs. passed down through many generations of Nightshades. range and area of your skills by 15 meters for 8 seconds. May only actually increase range, not area. and attack enemies. Lasts 25 seconds. 3 seconds for every Ice or Thunder Charge you have. This means 1 Thunder Charge is +3 sec to the Metal Resist debuff. So 3 Thunder Charges would add +9 sec to the Metal Resist Debuff, making it 15 Sec and the Water Resistance would be the default 6 sec. And vice versa for Water Charges. to you and invigorating you with its closeness. Empowers you for 20 seconds, restoring 400 Chi. damage plus 10859 as Metal and Water damage. with a 100% chance to increase damage taken by the target. Sage version gives the first attack a 25% chance to increase the damage taken by the target by 30% for 5 seconds. Demon version gives the fourth attack a 25% chance to restore health equal to 12% of your base magic attack plus 1303.
additional 50% | 40% damage and generates a Charge of the opposite type. Sage version deals an additional 50% damage if you have 3 Charges. as Water and Metal damage. Stacks up to 5 times. by 20% and the cooldown reduced to 1 second. Demon version increases the lightning burn damage by 25%. by 3%, movement speed by 80%, and flying speed by 20%. squad members within by 500% for 15 seconds. 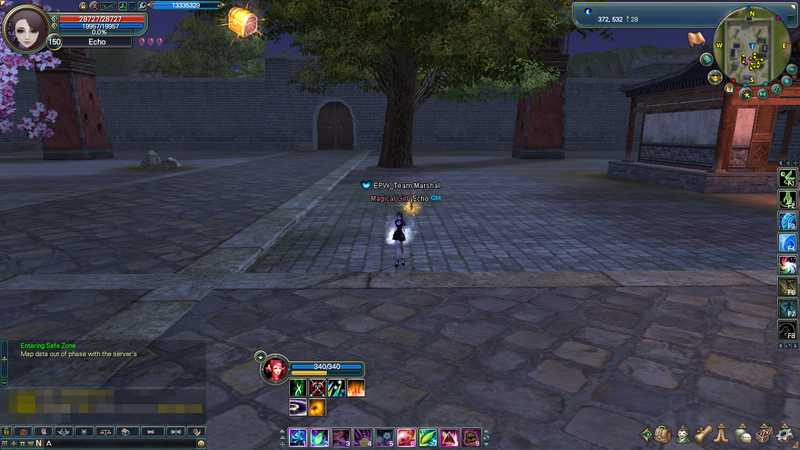 After getting Mirage Sky X, talk to Astral Sky Envoy Zhou to break through to Astral Sky I. Use Vitae Pill to get Astral Sky X, then talk to Shifting Sky Envoy Yara, repeat the process to level to Shifting Sky X. Everything in the universe is ordered, like the stars. If someone grasps the movement of the stars and rearranges them as he wants, he can gain great power from it. Star Charts are an equip item that give you bonus stats, depending on your luck! To receive your first Star Chart, you need to reach Arcane Sky I. Afterwards talk to Light Emperor Alexander and accept the quest "Dark Emperor's Fate StarChart - Meet the Light Emperor"
The StarGlade Chest contains a randomized Star Chart, right-click to open it and receive your first Chart! Star Charts have an icon and name based on what class you are, this is just a visual change, so don't panic! Now you right-click the Chart to equip it. 1. These are your Starpoints, this shows which ones you have activated. The five center points are Birthstars, the outer points are Fatestars. The values of the attributes you gain from them are dependent on their aptitude. Fatestar aptitude is based on the Birthstars adjacent to them, so Fatestars have higher aptitude and therefore higher attribute values. Keep in mind the aptitude for Birthstars has been capped to 5, so the Starpoint aptitudes cannot be raised. 2. This is your Star Charts level, the cap for this is 50. Leveling your Chart raises the values for the attributes on it, just as higher aptitude does. You only need 5 Astrobana Pearls to max out a single Star Chart. Or you can use another Star Chart to raise levels if you wish. 3. Normally Astral Energy decided how many attributes you could possibly receive on a Star Chart, but the attribute amount has been capped so this is irrelevant. In any case, if you reroll your attributes enough you will reach the cap level of 10. 4. Here it lists the attributes your Star Chart currently has. The amount of attributes has been capped to 7, you will always have this amount. 5. Astral Infusion is how you will be leveling your Star Chart, click the button and your cursor will be changed into a gourd, you will then need to click on Astrobana Pearls or another Star Chart in your inventory. Again, this will raise your attribute values and the max level is 50. 6. Horoscope is how you will be rerolling your attributes. This changes the attribute type, and attribute position. This requires you to have Nebula Dust Orbs. When rolling, there is a chance for one of your Birthstars to change position into a third Fatestar, which means 3 attributes can have higher values instead of the more common 2. You can have the Horoscope auto-roll for you, but since our attributes are capped it is likely a useless feature for its intended purpose. However if you wish to save your mouse buttons, you can use it so you don't have to click as much. Just set the minimum strings to 8 and the max rolls to whatever number you wish. It will then do rolls for you at a semi-slow pace so you have time to cancel if you see attributes you like. 7. Stargazing does one thing, which is change the position of your attributes. Your attributes will remain intact, unlike when using Horoscope. So if you got attributes you like, but did not get specific attributes on Fatestars or did not get 3 Fatestars, you can try to fix them with this. You need Starseeker Powder to use this feature. 8. Due to Astrospira Pearls being removed, and aptitude having a cap, this button is useless. Heavenfall Temple is a new solo-dungeon available in Lothranis, near the Heavenly Music Pavillion. Or you can talk to the Illusion Stone. This is a single-player dungeon. You must fight through all 108 levels by yourself. You have one week to complete the dungeon. Heavenfall Temple resets every Wednesday at 7:00am. You can leave and return any time you like without losing progress. The order in which the levels appear is randomized. Each time you enter you will face a new challenge. After you have beaten a level and collected the reward, you can bring up the level selection menu using the button in the upper-left. In the level selection menu, the highlighted marks indicate that you have beaten the level, the grayed-out marks mean that you have not beaten the level. You can select any unlocked level to play it again. By default you will enter the newest unlocked level. Each level is timed. Once you have beaten a level you can view your time on the reward screen. For each level you beat, you will get item and point rewards. The item reward for each can only be acquired once per week, but you can retry a level repeatedly for additional points. The item reward can be collected at the end-level reward screen. The higher the levels you beat, the better the items you will get. Going offline or leaving the dungeon won't forfeit your rewards. You can collect available rewards at any time. However, retrying a level, or going to a different one, will forfeit any unclaimed rewards for that level for the week. Points earned when beating a level is based on your performance. They can be spent to gain buffs while in Heavenfall Temple. There are six Celestial Ascensions, or "petals", in Heavenfall. Each of them has 18 floors, totaling to 108 floors. Floors 1-8 and 10-17 for each petal are picked randomly from certain Challenges. If you fail a Challenge and restart a floor, it can be rolled into a different Challenge, however you will only need to complete one of each Challenge type before each boss floor. Meaning if you only have one Challenge type incomplete and one floor left, you will always do that type if you fail the floor. Floors 9 and 18 for each petal are boss floors, the bosses you will face depend on which Celestial Ascension, or petal, you are at. 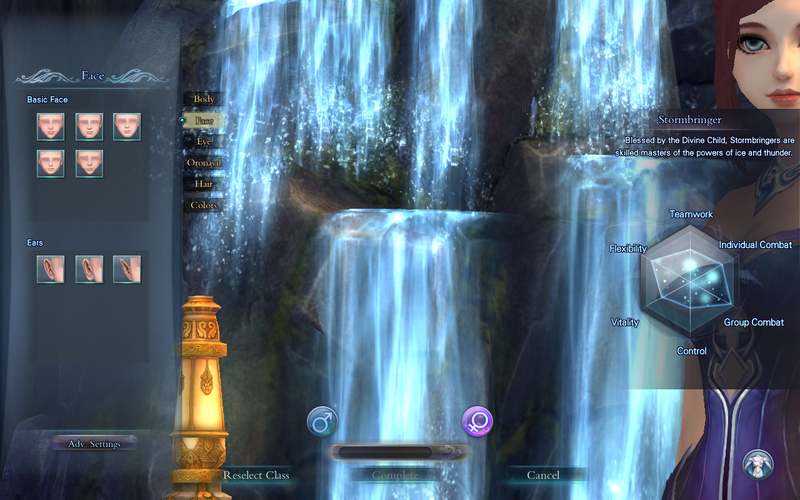 In Heavenfall charms do not work, so certain classes may struggle. Make sure you utilize your skills, genies and pots to give yourself an easier time. If you are still having problems, don't be afraid to buy the buffs they provide you with! To buy these buffs you need to have points, which are given to you each time you complete a room. An easy way to stack up points is to repeat the first or tenth floor of a petal. The reason for this is when repeating floors, it pulls Challenges based on which you have already completed. So if you do the first floor and no other floor, if repeated, it will always be the same Challenge. And due to the tenth floor being the first floor of that boss bracket, the same rule applies. In order to buy buffs, you simply click on the double arrow next to the floor selector, some can be stacked multiple times. Your buffs can be changed at any time if you need different ones for specific room types, you simply reset them and redistribute your points. If you leave the instance completely and come back you will need to buy your buffs again. Three groups of mobs will spawn on this floor, you need to kill specific ones in the groups in order to finish the floor. Each group contains 1 Monk, 2 Servants and 1 Follower. If you kill the Follower, you will fail, so don't use AOE skills for this. Killing Servants before Monks empowers them, so kill Monks first if they become a problem. Kill the Monks and Servants and you will be done. The goal of the floor is to kill the boss before the NPC its attacking dies. The boss will give himself an immunity buff that you will need to remove by standing in or walking through the orbs spread around the room. If the NPC is getting close to dying, you can stand in the circle on one side of the room, this will give a portion of your HP to the NPC. On this floor you will see 5 pillars, one for each element. The goal is to destroy all of them. You will randomly be given a DOT, with it comes a damage buff to the pillar weak to that element. If you want to remove it, you need to damage a pillar strong to element of the DOT you have. For this floor, you need to fill the pillar in the center of the room with energy. To get this energy, you will have to attack the mob corresponding to the item it asks for. It may not drop/spawn the item if you do too much damage to it, if you run into problems unequip your weapon. Ginseng Trees drop Ginseng Fruit but also two Sengin Fruit, if you try to use those ones it will fail. Timid Imps drop Imp Guts and Wraithtouched Dragons drop Dragon Essences. Dragons are the only ones that will attack you. Once the item you need drops, you need to push it towards the pillar. To do this, you need to use the "hammer" item from the pop-up or from your inventory. Then it will ask for a new item, do this until the pillar's HP bar is filled. If you fail to get an item in the pillar or you give it the wrong one and the Pillar's HP empties, you will fail the floor. 4 Celestial Beasts spawn in each corner of the room. Kill them before they reach the center to weaken the boss that will spawn( the Corrupted Monk ). Killing Azure Dragon lowers his attack, Black Tortoise lowers his HP, Crimson Phoenix lowers magic defense and White Tiger lowers physical defense. Once you kill the Monk, the floor will complete. The room is filled with 10 circles that you need to light up in order to complete the floor. To light them up, you need to kill Celestial Guardians, which spawn from the center of the room. In later floors Celestial Nullifiers and Sages will spawn along with the Guardians. Nullifiers remove a light if killed and killing Sages does nothing but if you don't kill them they will spawn damaging areas on the floor. Once all lights are on, you are finished. The goal is to kill a total of 100 invaders. To spawn them, you need to stand near the orb that spawned somewhere in the room. This will cause 9 mobs and 1 mini-boss to spawn from the center portal. When you kill the boss, an NPC will spawn and do an AOE, damaging enemies( it doesn't do much damage though ). To get the next wave to spawn, find the next orb in the room, do this for a total of 10 waves to finish the floor. You can spawn more than one wave at once, if you so choose. This room is similar in method to "Lycaeum Of Cultivation". Waves of mobs will make their way from one portal to another point in the other side of the room, the goal is to stop them. This requires the NPCs in the room, since you can't kill the mobs yourself. To start, you need to attack the Celestial Bead in the center of the room, this will give you "Buddha Corona Surveillance" points, you need these in order to get started. Don't focus on killing the Bead, especially in the beginning, because it is not required. After damaging the Bead you will be able to use the item "Mirror of Sages" to get assistance from the NPCs, just click on the one closest to the starting portal( the most Northwest ), and use the Mirror from the pop-up. This will activate the NPC, or if they are already active, it will empower them. 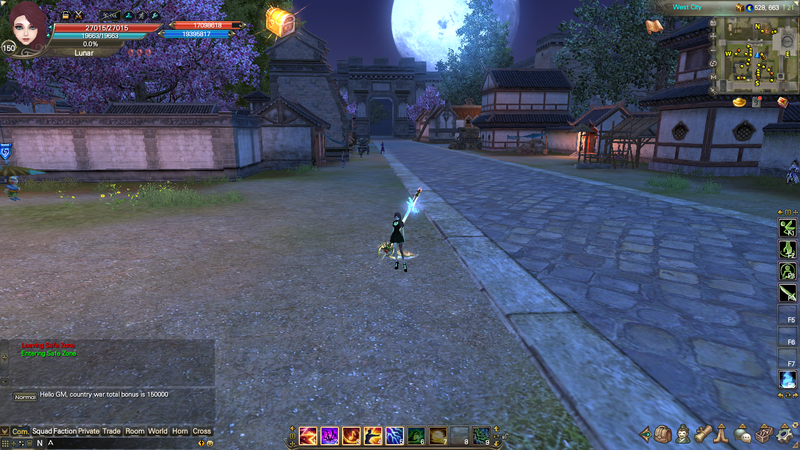 You can empower two times after activation, an NPC that is fully empowered will have a yellow aura instead of blue. The first two are decided for you, after that there are groups of two, you can only activate one per group. Note: There is currently a bug with the NPCs sometimes, if you cannot fully upgrade one, simply wait a while and try again later. Mosaro has a minor damaging and slowing AOE. Andolor does a high-damaging single target attack that amps. It's up to you to find a good mix in order to kill the mobs before they reach the end. If you run out of "Buddha", make sure to attack the Bead in the center so you can activate and empower all NPCs in the room. At the end a boss will spawn, you do normal damage to him and can assist in killing him before he reaches the end. The room has the Four Kings, three in a triangle with one in the middle of them. You can kill them in any order you wish, but it needs to be one at a time. Each of them has a special skill which will continue even after they are dead. Noxious spawns poison pools that will tick for damage if you stand in them, Glacial does a skill that covers only half of the room( it will show in pink on the floor where the skill will hit ), Scorching will spawn a wall of fire that will sweep the room( it can be avoided by standing behind the crystal that spawns in the room ), and Howling spawns a damaging circle and has the ability to reel you into it. In the middle of the room stands a boss, but he starts as an NPC and therefore cannot be damaged. To change that, you need to push the Mysterious Chest into him, requiring Dawnguard Weapons from killing the Celestial Dragonguard that spawn. You will need multiples of them to push the Chest all of the way. Once done, the boss will spawn in place of the NPC, along with other NPCs that will assist in attacking the boss. Once the his HP drops to a certain percent, the NPCs will disappear and be replaced by mobs you need to kill in order to do damage to the boss again. After killing them, the boss will gain a damage buff and healing orbs that you can use will spawn around the room. On floor 36 the boss can spawn an area that will damage you if you stand in it. This room has a boss named Bodhi, just being near him hurts you, on top of him being unable to take damage. In order to debuff him and put him in a vulnerable state, you need to lure him into specific plants. The lighting plants, Seeds of Power, stun him and remove his buffs. The blue plants, Seeds of Life, heal him. The black plants are Seeds of Death, those will weaken him and make him take more damage. Bodhi can activate plants by using his attacks, they're based on where your character is standing so try to steer him away from the beneficial plants when he does them. Matreya is a bit more complicated than some other bosses, but once you get it down you should be fine. He has a few methods of controlling your character, pulling you, pushing you and even holding you in the air for a short time. Then after that he will normally spawn a circle that will kill you if you stand in it. There's also orbs around the room you can use to heal. This will repeat until you kill him, after that begins the next stage of the room. Fifteen flowers will be spawned, one of them contains his soul. However you only have 4 chances to find it, if you fail you will need to repeat the entire room. Though it seems like a complete guessing game, there's a really easy method to finding the right flower. The method basically calls for killing certain flowers to narrow it down. When you kill a flower, if it doesn't contain his soul it will say the right flower is either "larger" or "smaller", giving you a clue as to where you go from there. The best way to make use of this is to start in the middle and kill flower 8, and afterwards kill each middle flower based on whether it says larger or smaller until you narrow it down to one. Though you could find the right flower early, of course. The boss of these floors really doesn't have anything special about her. Sometimes she'll spawn eggs that you can destroy, which will spawn a few snakes prematurely if you do. If not destroyed the snakes that hatch from them will be slightly buffed. She'll also occasionally spawn two other mobs that do more damage than the snakes. In order to kill the boss of these floors, Mara Papman, you need to first save the four Adventurers in the room. To start the room, you must go to the green orb and it will spawn Mara Papman's Soul, it will begin to attack you but in reality he's trying to help you. If you get his health to 80%, he will buff you, giving you 5.0 aps and allowing your auto-attacks to heal the Adventurers. Quickly run to them once you receive the buff and smack them to give them health. You can do this for about 20 seconds at a time, you need to repeat the process to get the buff again. Papman will call for "ghost" mobs to damage the Adventurers so make sure you watch the health of all of them. If any of them die, the boss will be empowered, so try to save them all. Once an Adventurer's health reaches 100% you no longer have to worry about healing them. After all of the Adventurers have either been saved or killed, the boss will then be able to be attacked. However you will still need to utilize his soul, so stay near the green orb. He will announce an attack, Oblivion, that will damage you for 15 seconds. Since his soul's buff also constantly heals you, you can use this to counter the damage. However, since the buff is timed you need to get his soul to 80% health at just the right time so it lasts throughout all of Oblivion. New titles have been added with the Eclipse expansion! Here will be a quick list of what's new and how to get them. This information was taken from a guide on PWI with edits as I saw fit, I'm lazy ok. If anything is incorrect please let me know. Seal Questlines These are a continuation of the Seal Questlines from New Horizons. - Go to (630 651) to pick up the next quest. Kill 15 'Barnacles'. - Go to (655 641) to pick up the next quest. Kill 10 'Clam Scout' and 10 'Drifting Hex Lantern'. - Head towards the Village of Naught (676 619) to pick up the quest. Talk to the 'Crippled Soldier'. - Head west towards the gulf (673 616). - Go to Allies Camp (614 714) to pick up Seal: Widow's Coast. Dig the 'Suspicious Barrel' to complete the quest. - Activate the 'Suspicious Package' to obtain the seal. - Head out of Allies Camp, towards Widow's Coast (633 724) to pick the next quest. Kill 25 'Skelevizen Sailor'. - Head towards Mount Lantern (644 763, 30) to pick up the next quest. Light up the Lantern to finish the quest. - Go to South Barrier Village (149 818) to pick up the next quest. Talk to Apothecary Hsiao (147 813) to complete the quest. - Go to (174 914, 23) to pick up the next quest. Kill Omen Magic Eye (185 920, 37) at the mountain peak. Boss has 800k Hp. Soloable with endgame gear and/or rebirth levels. Beware of strong pdef/mdef debuff. - Head towards North Barrier Village (156 894) to pick up the next quest. Find Ching Yin (159 905) to complete the quest. - Go to (138 892) to pick new quest.Talk to Taoist Kui to complete the quest. - Go to (108 639) to receive Tome: Dragon Wilderness. - Go to (131 676) to pick up quest. Dig the “Dorim Codex” from “Dorim Announcer” at (135 675). - Go to (180 675) to receive the next quest. Kill 3 “Distant Dustwraith”s at (187 670). 2. [Pureheart] (+2 phy-att) Go to: (577,628) - wait one minute. This one can be tricky to get the quest to pop. Make sure you are all the way to the ground under water and wait. Next, go to (521,665) and dance. Go to (541,618) and think. Go to (586,620) and blow a kiss. Go to (585,669) and meditate. 3. [Returning Warrior] Return to game after being absent for 20 days. 4. [Moonwalker] Complete all floors of Heavenfall Temple. This post contains minor quality of life changes that I may just have wanted to put a picture for or elaborated more on, some things may not be noted here. With Eclipse comes a brand new UI! Some of you may be familiar with aspects of it through UI editing parts of the new UI to our previous one. Though most things have stayed in place, some things have been moved. - The Encyclopedia is now only available through the "Function" button on the bottom-right. - Your character avatar on the top-left is now bigger and the frame space is larger so it obscures less of the face. - System buttons on the bottom-right can now be turned 90 degrees, allowing for the second bar to be placed on the bottom more easily. - Blacklist was removed from System Settings, can be accessed from your friend list. Hotkeys has replaced it in System Settings. There's also brand new settings for those who like to customize a bit more, or find a new feature slightly on the annoying side. You access these settings either from System Settings > Games > Features, or click the wrench icon above your HP bar, then click on the "Settings" tab. Hide Low HP: Removes the red glow on the screen when you are close to dead. Hide Gear Contrast Feature: With Eclipse came a gear contrast feature, allowing you to compare your equipped gear with others. However it tends to cover a lot of screen so if you want to shut it off you can. Auto Pet Buff: This was previously in the normal System Settings but was moved here. Lock Shortcuts Bar: This was previously in the normal System Settings but was moved here. 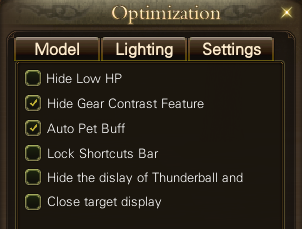 Hide the display of Thunderball and Iceball: For Stormbringers if you do not wish to see your current orbs under your character avatar. This does not remove display of the orbs actually floating around your character. Close target display: Eclipse also added a feature in which you can see what someone else is clicked on. It makes for easier AA in PvP, however it can be intrusive in other cases, so remove it at will. Also under the "Model" tab in the same window, an option was added to only show your character model. The Quest UI has also be revamped with a few changes. When you hover over a quest in your quest tracker, you will notice a few new buttons. The "M" will open the map and show you a quick view of where you should be going for a quest. The megaphone icon, when clicked, announces that you have that quest in normal chat. If you are in a squad it will put it in automatically announce it in squad. This is useful to quickly show progress on a quest. The "X" icon is just a quick way to untrack a quest, it does not trash the quest. You can also click on NPC names in the quest tracker for auto-pathing. If you open the map there is also an "M" there which will show all currently tracked quests on the map. Learning skills has also become far easier! 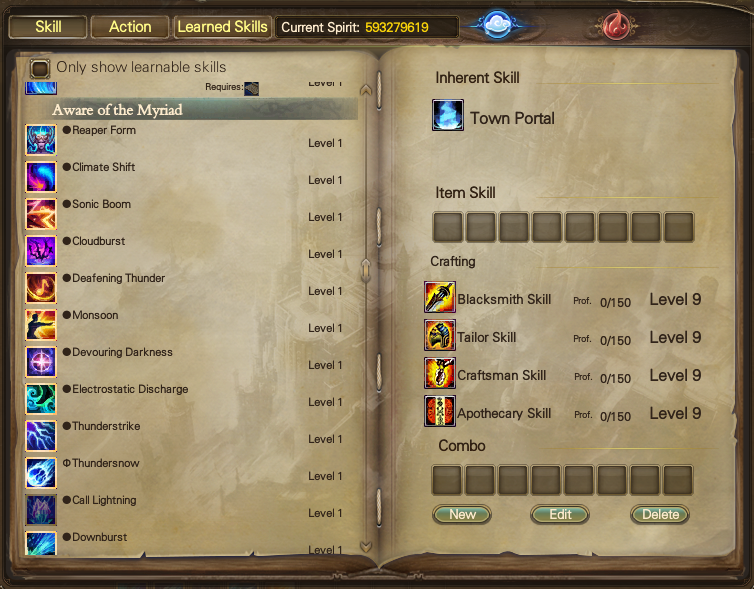 You now have a "skill book" of sorts which contains all class skills, actions and other learned skills. Now you don't have to be pestered by skill learner NPCs or having to go out of your way to go to Momoganon. 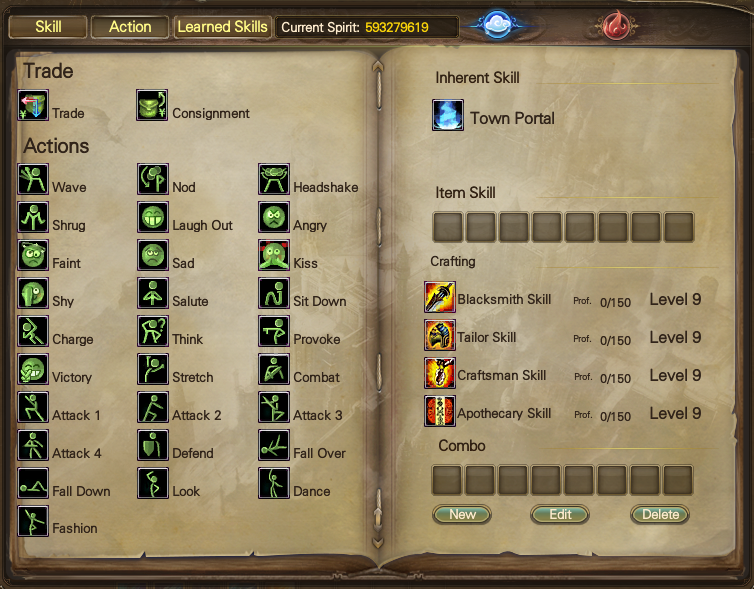 You can also compare Sage and Demon skills from here by clicking the assigned icons. Some of you have been waiting for this for years, I know I have. Wardrobe sorting! You can now sort by "sets" and "components", components being the type of fashion. 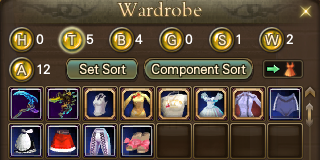 You can also highlight specific types of fashion if you are having a hard time sorting through it still. Speaking of fashion, the fitting room also had some changes done. 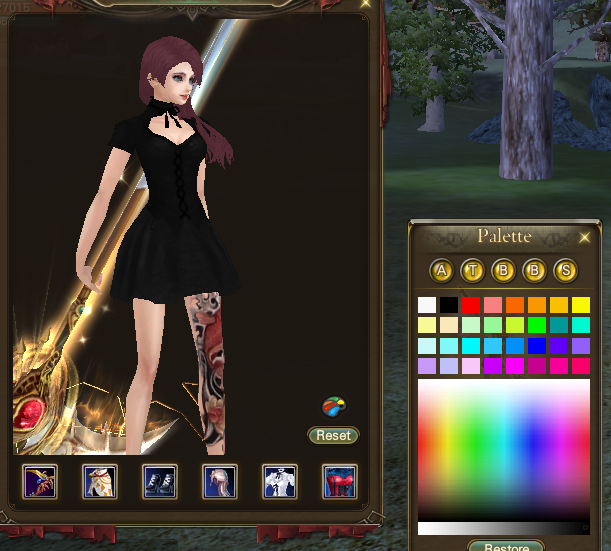 The way of previewing dyed fashion has slightly changed, you now just click on the palette icon and dye either all your fashion at the same time, or press the letter icons to do specific pieces. The camera controls are also changed, the normal arrows have been removed and now you left-click to move your character around and right-click to rotate your character, scroll is to zoom in. While you're dying your fashion, you may end up using random dyes. They added a neat but also possibly annoying feature. When using random dyes, if you get a pure color such as white, black, red, ect. it will let you know! The character creation has also changed camera controls along with the fitting room, try not to lose your character off-screen! 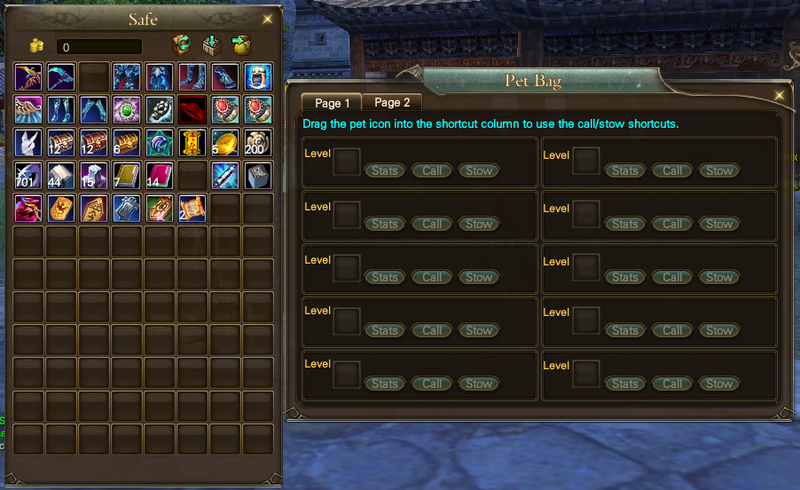 And finally, the pet bag, bank and cupboard have all gotten increased in size!